With Gold Supply Topped out, the Price of Gold Has Nowhere to Go but Up. We’ve all heard the “peak oil” story for years. That’s the theoretical point where all of the significant reserves of oil have been discovered, output is at a maximum and production then declines steadily year after year from that point. It turns out peak oil is a myth, at least so far. New oil is being discovered all the time and new technology allows more oil to be recovered from existing discoveries. The world is awash in oil even as oil competes with natural gas, solar, wind and other alternative sources of energy. There is no energy crisis and perhaps there never will be. But what about peak gold? That’s turning out to be a different story. According to this article, peak gold production is already here. There are no new gold fields of any significance waiting to be discovered. 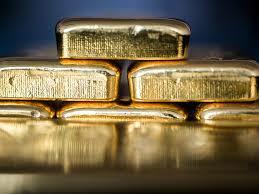 There is no new technology that can extract gold from places where it cannot now be recovered. This does not mean gold production stops — just that output does not increase and will start to go down. Of course, gold exists in minute quantities in everything from seawater to distant asteroids, but the costs of recovery from those sources are astronomical and make no commercial sense. When it comes to gold, what you see is what you get. Yet global demand continues to rise from central banks and sovereign wealth funds in Russia, China, Iran, Turkey, Kazakhstan, Vietnam and other countries around the world (not including America, it seems). You don’t need a Ph.D. to realize that if supply is declining and demand is increasing, then gold prices have nowhere to go but up.